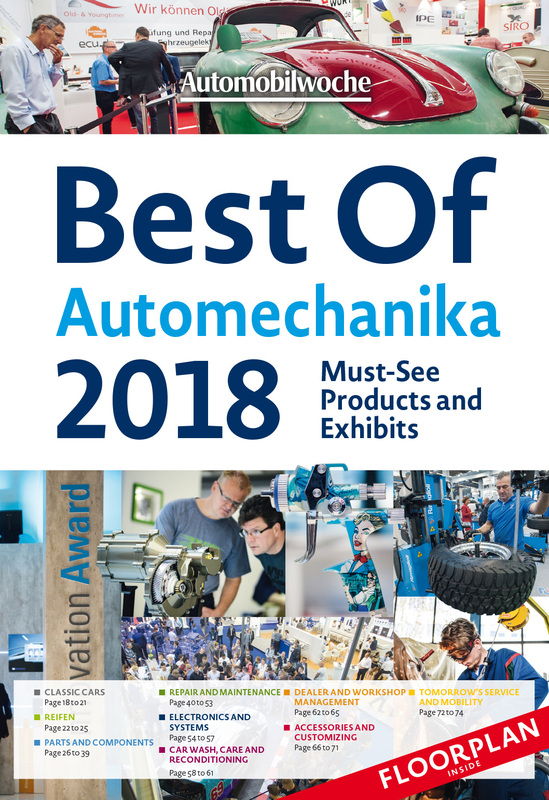 The Best of Automechanika 2018 issue provides detailed insights and a perfect overview ahead of time. The editorial staff of Germany's most-quoted auto-industry news biweekly Automobilwoche presents an exclusive look at the most innovative products & services. Following extensive research and analysis of about 5,600 companies, the highlights of this year's Automechanika trade show are organized in nine product groups and clearly described in detail.